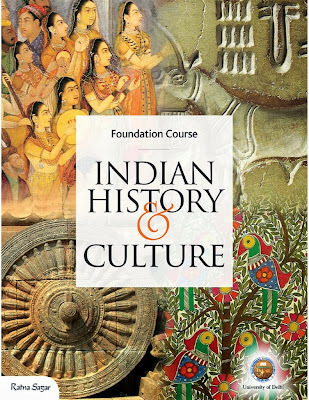 My Madhubani painting "Tree of Life" is on the cover of just released Delhi University's Foundation Course book on "Indian History and Culture" published by Ratna Sagar publication. 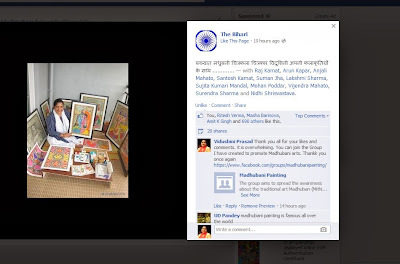 PATNA: The proposed 'Mithila Chitrakala Sansthan' (MCS) in Madhubani district would be first of its kind autonomous institute in the country in which faculty members (acclaimed artists) will not be selected on the basis of the their academic qualification but for their expertise in the art of painting. The 'sansthan' would aim to provide direct market linkage to the artists. The proposal to set up MCS was cleared by the state cabinet last week. Last year, CM Nitish Kumar had announced to set up an institute to preserve and develop Madhubani art which will be later granted university status. The exact venue of the MCS would the famous Saurath Sabha barely six km north-west of Madhubani district headquarters. Saurath Sabha used to attract thousands of Maithil Brahmins from all over the country during each marriage season to negotiate the marriages of their sons and daughters. The tradition of Saurath Sabha survived till the late 1980s. 'Dastkar', a society for crafts and crafts people, which aims at improving the economic status of crafts people to ensure the survival of traditional crafts, has been made consultant of this project which would be developed on a six acre plot, said state art and culture secretary Chanchal Kumar. It was founded in 1981 by six women who worked in the craft and development sector. 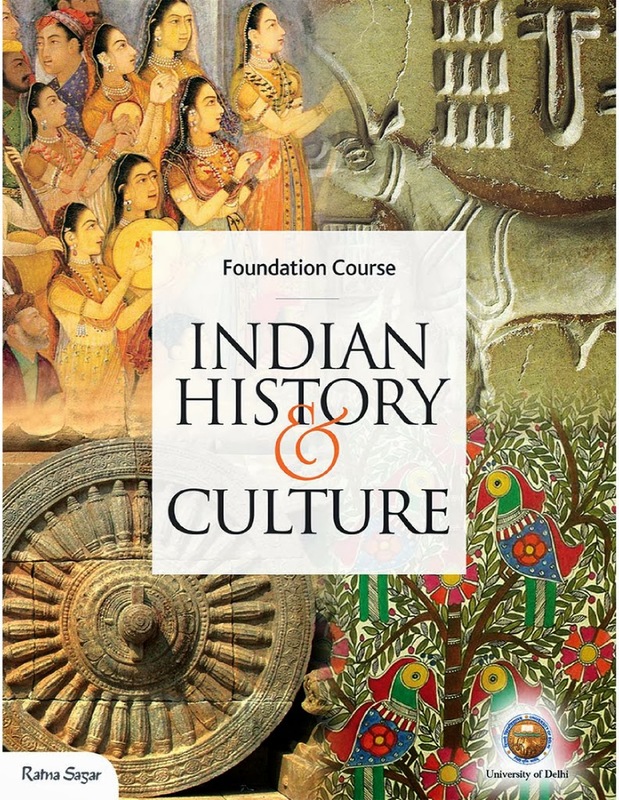 Two courses- one of six year certificate and another one year course, would be introduced which would be taught by experts from the places of its origin Ranti and Jitwarpur. "One of the highlights of the MCS faculty members would be the sole criteria of their experience in art not traditional academic qualifications," Kumar told TOI. "The process to shortlist them on the basis of their competence in art would be a herculion task.There are so many talented artists in the villages of Madhubani district itself," said Anjani K Singh, a nodal officer of this project. This institute would be set up under Registration of Societies Act which will have residential facilities, hostel, museum, demonstration and marketing centres (workshop), exhibition hall and administrative building. "It will follow the traditional 'guru shishya parampara'. The standardisation of the art work would be fixed and artists would be getting direct market linkages to sell their products. This has been done to do away with middlemen," Kumar said. It would also be a seed centre for the promotion of dying folk arts of Bihar including Manjusha and Godhana, Brahmin, dalit and kayastha style of paintings. It would also provide a training and learning centre for budding artists from India and abroad. Madhubani painting is done with fingers, twigs, nib-pens, matchsticks and brushes made of bamboo stick with cotton or strips of cloth wrapped around it.